How to make an Android Application - for Beginners. 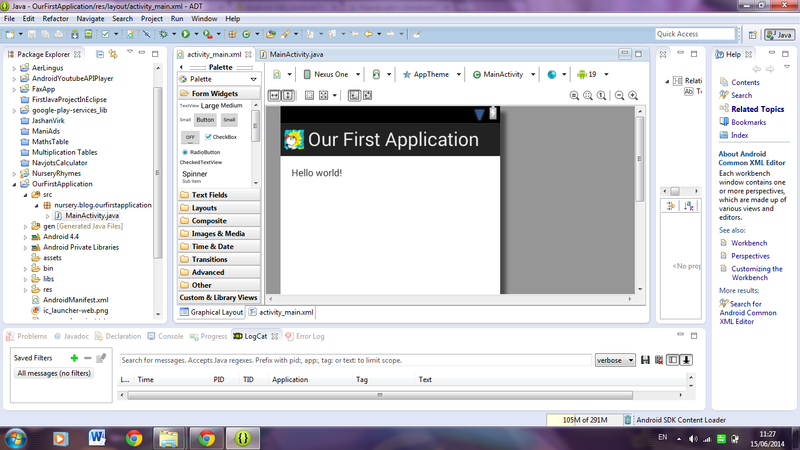 Making first android application in Eclipse. First of all make sure you have set up the android environment. 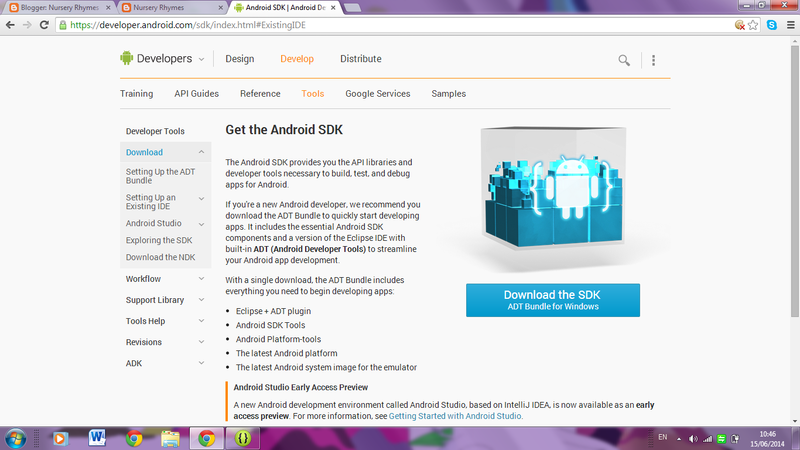 If not dont worry GET THE ANDROID SDK HERE. 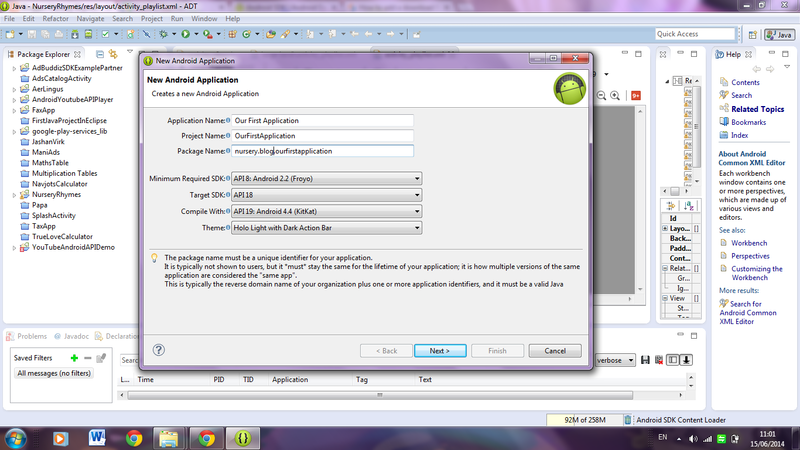 The Android SDK provides you the API libraries and developer tools necessary to build, test, and debug apps for Android. There is not need to download anything other than this all you need is Android SDK download it from the above link provided. 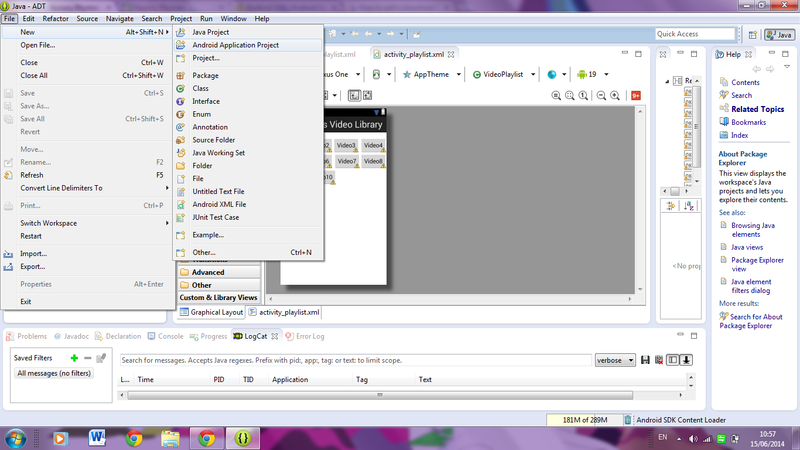 Now when we are sure that everyone has the required tools lets start working on our First Application. 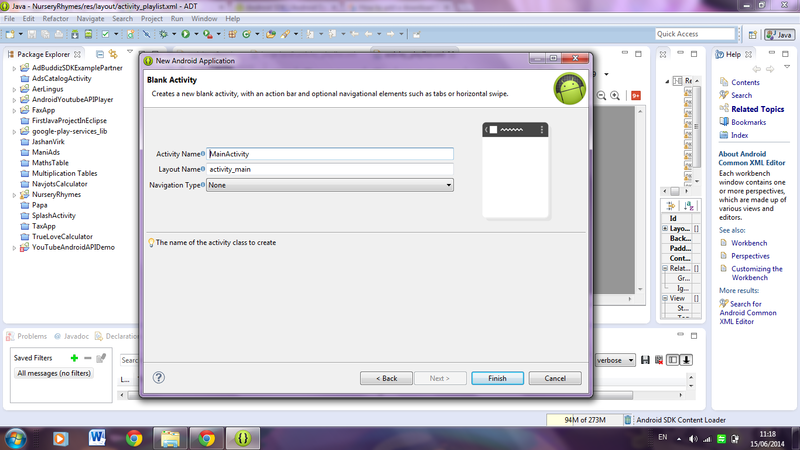 First of OPEN Eclipse (the one that was included in our Android SDK). First of all fill Application Name: --------------- (it can be any name you like). Package Name: This is the important bit. Always change package name never use default package name provided by Eclipse because when you have to publish your app on Playstore it will not except it. We have Named our application as : Our First Application. At the end of the post i will provide a link to The project Files. 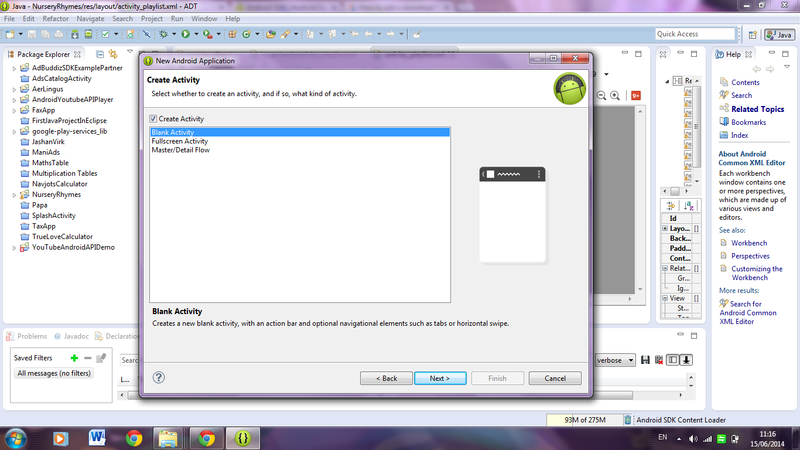 Leave other fields in the image for now we will go with default settings. 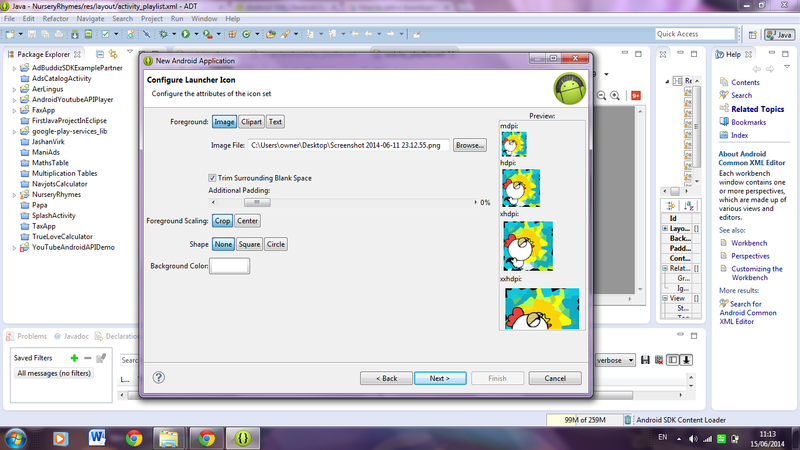 Choose the image you would like to use as logo of your application with Browse Button. Great app Install on PlayStore for € 0.50 only a gift for your little loved ones. 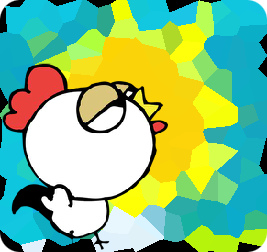 This Application provides an easy way to learn Rhymes with Animated characters. The application is very easy to use with just 3 Control Buttons so kids can easily play around with the app without being jumbled like in other apps. All the Rhymes are in high quality(HD). and many more in Mixed Rhymes section. VIDEO LIBRARY WILL BE UPDATED EVERY MONTH WITH MORE NEW RHYMES.YOU NEED A INTERNET CONNECTION TO USE THIS APPLICATION AND ALL THE VIDEOS ARE AVAILABLE ON YOUTUBE. NOTICE - IF YOU DONT LIKE THE APP WITHIN 3 DAYS WE PROMISE A REFUND ( JUST EMAIL US: khalsaproductionsdublin@gmail.com). SO GO AHEAD. God bless your Kids give them a gift of beautiful Animated characters. You can see all the steps in this Gif File.